Ahead of the General Election, the Congress continues to be in a state of confusion over the issue of Haryana unit leadership, a sticking point that’s delaying the party’s poll preparations in the state. The high command is learnt to be in the process of assessing whether to replace incumbent state chief Ashok Tanwar before the Lok Sabha polls; if yes, with who — a non-Jat or a Jat. Tanwar is into the fifth year of his Haryana Congress presidency. The party just lost two important elections under him — MC polls and recently the Jind byelection. 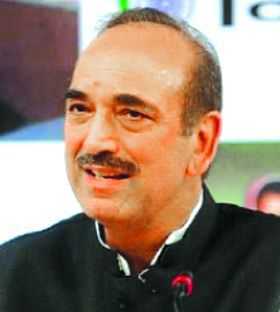 The Tribune has learnt that newly appointed AICC general secretary incharge of Haryana Ghulam Nabi Azad is currently meeting Haryana MLAs, former MLAs and other senior leaders to gauge the mood of stakeholders before striking the best possible combination for the Haryana Congress election team. The Congress is yet to announce the Haryana Pradesh Election Committee and other LS poll preparedness committees in the state, thanks to the unresolved question of state organisation presidentship. Congress LS committees for all neighbouring states such as Punjab, Himachal and Uttarakhand have long been announced. The Tribune has, meanwhile, learnt that the Congress will take a decision within 10 days. The dilemma for the Congress is multi-fold. The first involves the question of whether it is wise to replace Tanwar before the Lok Sabha polls with hardly any time left for the model code of conduct to come into force. The second is — if Tanwar is to be replaced, who could be his best replacement. After the MC elections and Jind bypoll, the Congress is conscious of the polarising turn the state politics has taken on account of the Jat agitation. Despite former Haryana CM Bhupinder Singh Hooda believed to be interested in the state unit presidency (where he can influence candidate selection and thereby election results), a large section of Haryana Congress leaders feels it would be wiser for the party to address the issue of polarisation by having a non-Jat leader as Haryana Congress chief with a balance of Jat representation in the CLP post. The state chief and CLP leader both sit in the ticket selection meetings in the Congress. Another possibility could be to continue Tanwar as state chief and appoint working presidents under him to address the complex emerging caste challenges in the state. This possibility could emerge if the party eventually decided that it’s too late to effect change. The party does not have either block or district committees in the state, and continues to be in a vulnerable position organisationally. At the meeting of AICC general secretaries called by Congress president Rahul Gandhi on February 7 to discuss the General Election, Ghulam Nabi Azad is learnt to have said nothing except, “I am still in the process of figuring things out in Haryana.” Azad has not even had the chance to tour the state yet having been appointed general secretary as late as January 24. Incumbent state Congress chief Ashok Tanwar and CLP leader Kiran Choudhry attended the subsequent meeting of AICC state chiefs and CLP leaders Rahul had called on February 9 to discuss LS poll plans. Former four-time Faridabad MP and former Congress leader Avtar Singh Bhadana on Monday met AICC general secretary incharge of Haryana Ghulam Nabi Azad and is expected to contest from the Faridabad Lok Sabha seat. Bhadana had quit the Congress in August 2014 after he lost Faridabad to BJP’s Krishan Pal Gujjar in 2014. He joined INLD on the eve of the then Haryana Assembly elections only to switch over to BJP later in 2015. Bhadana had attacked former state CM Bhupinder Singh Hooda for the latter’s style of functioning before quitting the Congress in 2014. He is set to return to Congress now.